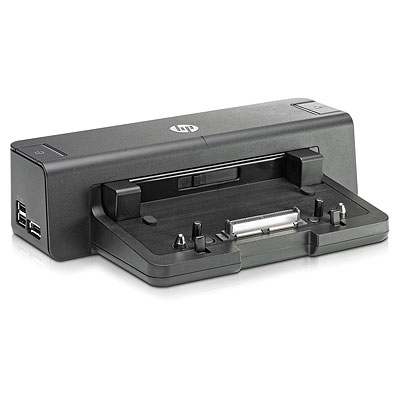 - HP offers a full line of docking stations designed exclusively for select HP Business Notebook platforms so you can maintain the connectivity and comfort of your laptop at a fixed station. - Simply insert your laptop into the dock until it clicks and you’re ready to go—without the hassle of rerouting cables or reconnecting the devices at your desk. - Get convenient port replication and cord management, backward compatibility with legacy devices, room to grow with new technologies, and battery charging on the connected notebook. - USB 2.0 and 3.0 ports enable instant connection to your USB peripherals. USB 3.0 reduces the time required for data transmission (vs. USB 2.0), is backward compatible with USB 2.0, and is bi-directional.